Home Ford F150 Ford is recalling its 2014 Ford F-150 trucks for a possible Loss of Steering Control. Ford is recalling its 2014 Ford F-150 trucks for a possible Loss of Steering Control. Ford will notify owners, and dealers will replace the EPAS steering gear, free of charge. The recall is expected to begin on July 7, 2014. Note: Owners are advised not to drive their vehicles until they have been remedied. Owners may contact Ford customer service at 1-800-392-3673. Ford's number for this recall is 14S09. 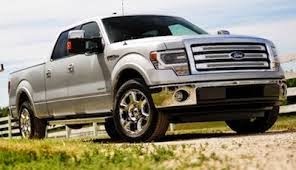 Want a new Ford F150 or Ford Vehicle?